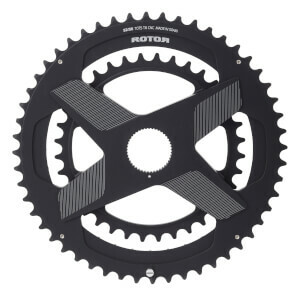 ROTOR ALDHU Shimano Q Outer Chainrings are compatible with both Rotor and Shimano cranks. 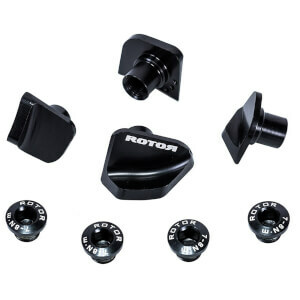 There’s no need to swap out your Shimano cranks to accommodate Q-Rings, Rotor has crafted Q-Rings Shimano 110x4 just for you. Q-rings take advantage of the most-productive part of your pedal stroke by working with your body´s biomechanics to yield maximum efficiency. Choose from 5 Optimum Chainring Positions (OCP) to fine-tune your improved riding experience and go further and faster with less fatigue. When mounted onto ALDHU cranks, the chainring can be adjusted in just 1-degree increments to suit your pedalling style and maximise power transfer. 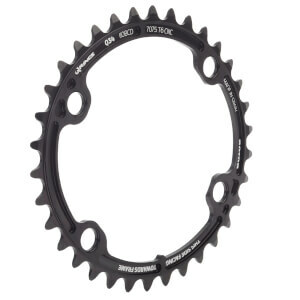 When used with Shimano cranks, the chainring is set to OCP 3 which is the most common Q-ring setup for most road riders.